Those moments of pure sonic magic get fewer and further between for music addicts—the moments that freeze you in place as your brain tries in vain to make a connection to something else you've heard. Is that a Morrison vibe in the vocals? Is the pacing like Fugazi? Can you hear a post-punk throwback in the layers? Standing in a dark club, beer in hand, you realize it's all of that—and none of that. Somehow, sixty years into the birth of rock, you're hearing something new. Something that it's completely unfair to compare to anything else. Something that stands up by itself. 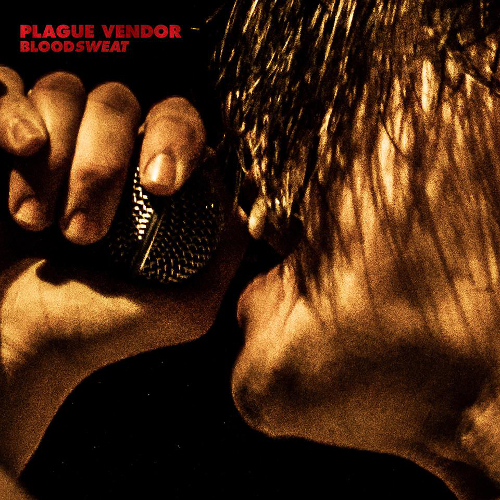 Plague Vendor did that to me this year when they opened for White Lung at the Beachland Tavern in Cleveland, and their latest release BLOODSWEAT went into instant, repeated rotation. Sure, after the initial amazement wears off (and the buzz of the night fades), bands tend to lose their luster. But not Plague Vendor, not BLOODSWEAT. Since July it's been my favorite album, and that feeling never faded. Lush Blind Spot EP 10"
Brian Fallon |Ladyhawke | Bleached | SWMRS | Beach Slang | The Pack A.D.